Which was your favorite Halloween character? It’s never too early to start thinking about Halloween. Even here in Santa Claus, Indiana. Halloween is a fun time for us here at Lake Rudolph … that’s when we host HalloWeekends. Rudy really gets into the Halloween spirit and he dresses up each year as a fun, creepy character. So … in the spirit of that I thought we’d ask which character you liked most! A fun spin on fruit for this week’s campfire recipe. – Your favorite fruits; we recommend pineapple, dried apricots, peach halves, maraschino cherries, oranges, etc. Thread on long skewers any combination of fresh, canned or dried fruits, using chunks about the same size. If using wooden skewers, soak for 1/2 hour in water before threading on fruit. Try pineapple chunks, dried apricots (soak in water first to plump), peach halves, cherries, etc. If you use oranges it is best to just slice the orange into chunks with the peeling still on. Brush fruit with honey thinned with a little lemon juice. Grill over low heat until hot. Serve with the leftover hot honey sauce or sprinkle with powdered sugar. 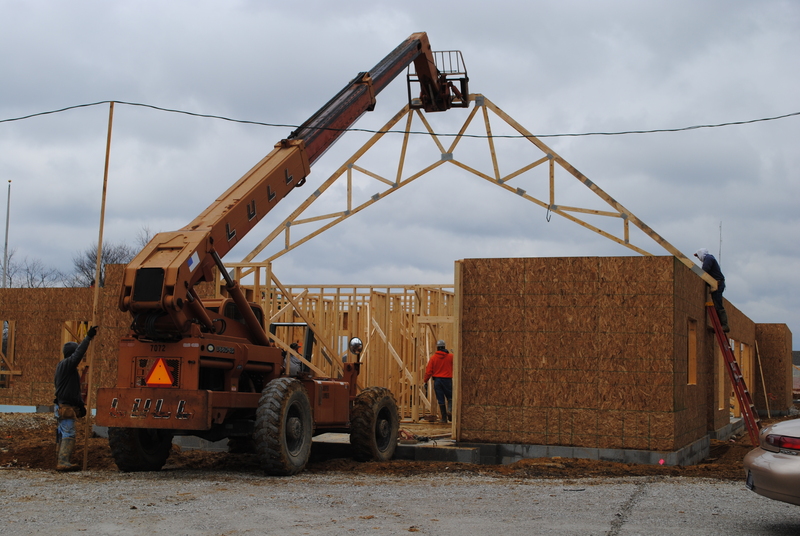 Last week the trusses for the new building starting going up! Here’s the first one being lifted into place. 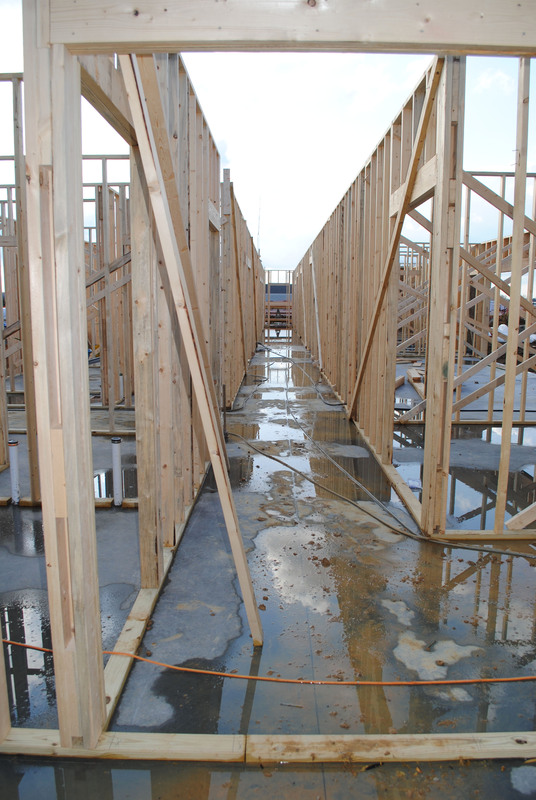 Throughout the next few days they worked hard to get all the trusses placed. Below is a collage of the rest of the trusses being lifted and hammered into place. You will need Reynolds foil grill bags. Cut everything up, put it in a bag, and cover it with Italian dressing (usually about half a bottle per foil bag), roll the bag down, throw the grate over the campfire or directly on hot coals. Cook until potatoes are tender and chicken is cooked. 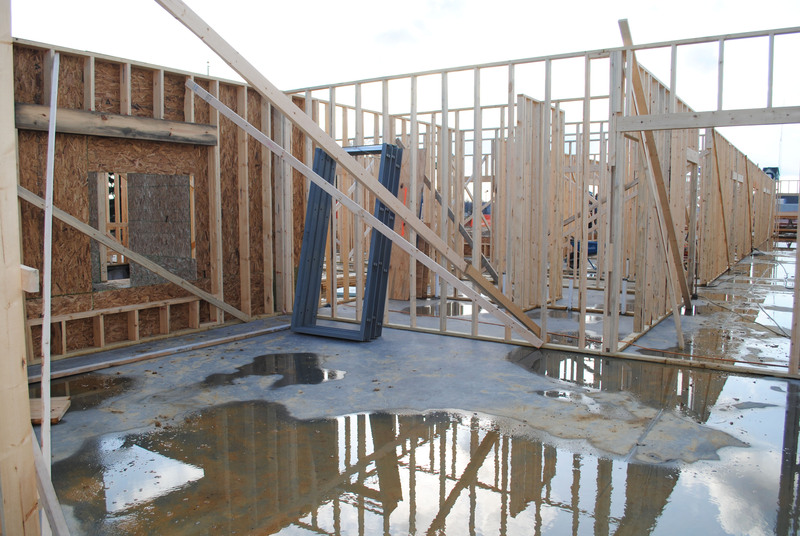 Last week after a day of rain the interior of our new office looked … well, a little wet. 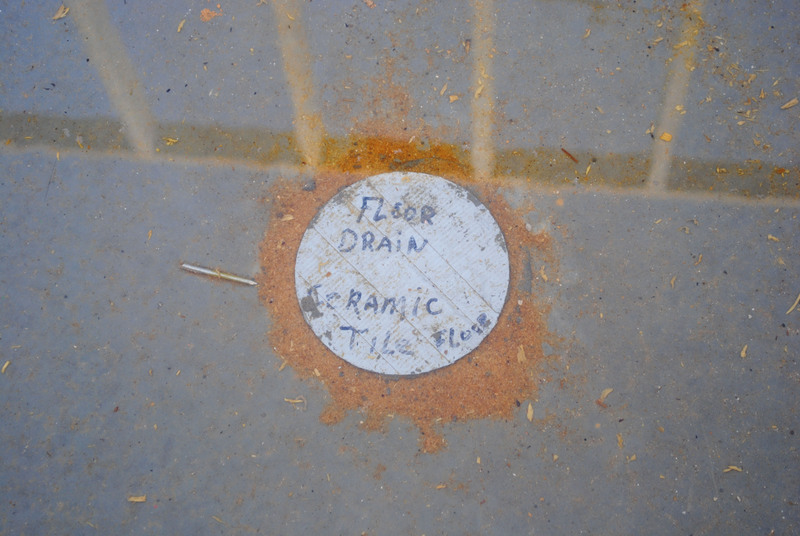 After seeing this floor drain, I couldn’t resist snapping a picture. They say that a picture is worth a thousand words so video is worth … a lot! Below is a virtual tour of our new Super King Rental RVs. We have 12 rentals available! We have a special treat for you. Every Friday Rudy is going to share one of his favorite campfire recipes! To kick off Rudy’s Recipes he is sharing a camping favorite … s’mores! These have a tasty twist on them … use brownies instead of graham crackers. At home: Mix together flour, baking powder, salt and cocoa and set aside. In a separate bowl melt shortening(margarine). Mix in sugar, eggs, peanut butter and vanilla. Add flour mixture. Add in the nuts and chocolate chips. Put into a greased 9 inch x 13 inch pan. Bake in a preheated 350 degree oven for 25-30 minutes. Cool and cut into 1 1/2 inch squares. Place in a container with a lid to take camping. At the campground: Cut brownies in half horizontally and set aside. Place marshmallow on a stick and toast over campfire coals until golden brown. Place marshmallow on one brownie half and place other half on top. Squish together slightly and enjoy. Our staff is really excited. 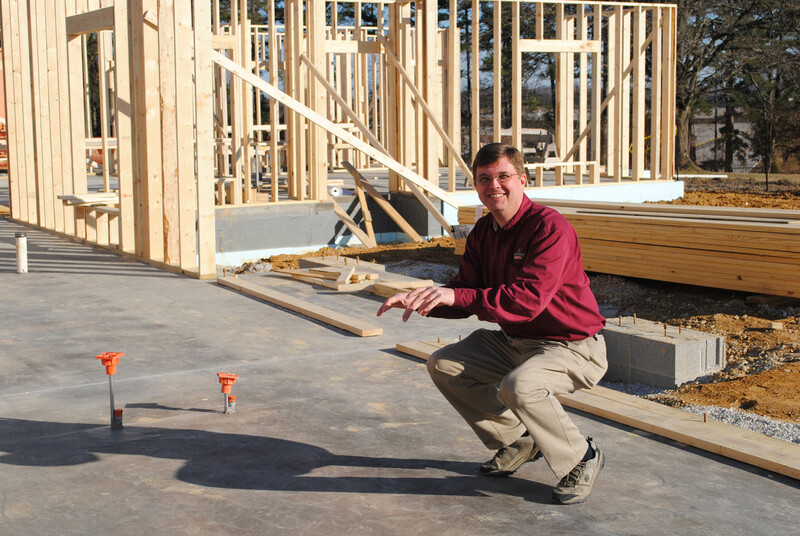 Dave, our marketing director, is ready to move in. He’s already in his office, sitting at his desk and typing away at the computer. And Abby is so excited she’s ready to start helping the crew! … of backup beepers and loud machinery in the morning! Since our office construction has started we’ve seen some interesting machinery. Even with that in mind I still wasn’t prepared to look out the window a few days ago and see what looked like a lawn mower. What could they possibly be mowing? Surely not the grass. Nope. Instead it looked like they were mowing the gravel. Gravel? That can’t be good for the blade. Okay, so fine … after a second or two I figured out that they were smoothing the gravel to prepare for the concrete which is being poured soon.